Just 10 minutes drive by scooter or taxi from the hussle and bustle of Seminyak is the area known as Canggu. 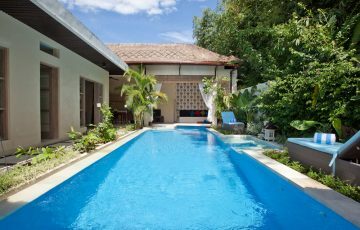 A lot quieter, with more of a Bali village vibe, you will immediately feel the stress and tension peel away as you dive into your Canggu villa pool. 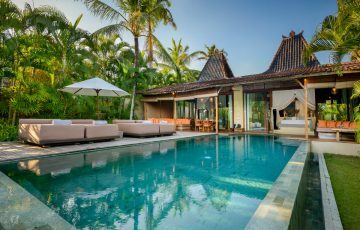 It has many great tucked away restaurants, fabulous cafes, health food shops, yoga studios as well as a very quiet beach, Canggu is perfect for holiday makers wanting to really relax, chill out and enjoy the serenity of Bali. What was previously a sleepy little village, Canggu has evolved into a major tourist hub. Not quite as popular or well known as it’s sister area Seminyak, Canggu is fast becoming the ‘in’ place. It has everything you could want on your holiday; great beaches such as Echo, Old Man’s which is in the heart of Canggu and extends all the way to the Batu Belig area in the south and Pererenan in the north. Canggu is really popular for families wanting a quieter more relaxing holiday, groups of people who want to get away from it all and really soak up the ‘what Bali was like 10 years ago’ ambiance as well as back packers looking for cheap accommodation in home stays. 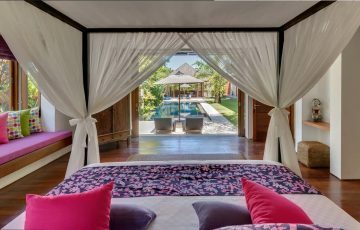 Most people who come to Canggu prefer villa accommodation where everything is self contained. 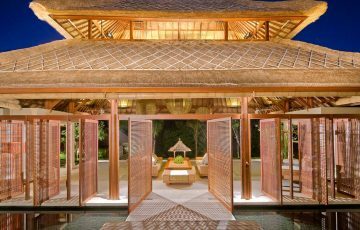 Most villas come with chef, private pool, house keepers and Wifi so you have everything you could possible want there. Really no need to leave the villa, if that’s the kind of holiday you want. Canggu is a children’s paradise. There is so much for them to see and do that keeping them occupied is not a drama. If your staying in a villa they will love being in the pool. If however your kids want a bit of variety there is always the Finns Recreation Club where there are water slides, trampolines and ten pin bowling. If they love surfing and want to be near the beach Canggu has some really great waves both for beginners at Old Mans and for the more experienced they can always surf at Echo Beach. It’s a surfing mecca and you will soon see why surfers from all over the world flock here to surf near perfect beach breaks. If there’s one thing Canggu is not short of, it’s fabulous restaurants and trendy cafes. Most of them can be found along the popular Batu Bolong area but if you are prepared to do a bit of exploring there’s loads of really cool little cafes and restaurants in the side streets. They are mostly unpretentious and have a casual dining atmosphere and are all really family friendly. Its certainly not Seminyak, but there is still a fair bit of nightlife in Canggu and it’s mainly in the restaurants and the popular Old Man’s just at the end of Batu Bolong, right on the beach . Nightlife here is aimed mainly at the twenty somethings with loads of beach side bars and clubs that go on till the early hours of the morning.. If your after a more sophisticated night life scene you will have to make your way to Seminyak. To be honest Canggu is not ideal for shopping. Yes there are a few boutiques and surf shops but you could cover that off in a mornings walk along Jalan Batu Bolong. If your a shopaholic but still want to stay in Canggu then make sure you get a taxi or hire a scooter and make your way to Seminyak. The boutiques in Canggu are mainly aimed at women’s clothing and men’s surfwear ( yoga, swimsuits and relaxed casual wear) with a few jewellery shops as well. There are markets on a Sunday at the beginning of Jalan Batu Bolong worth a visit for souvenirs and typical market stall items from local vendors. Some of the stuff is pretty good actually and it’s really easy to find. Just follow the crowds. There are also restaurants and bars as well so it makes for a great afternoon out. There are a few shops just off Jalan Batu Bolong as you make you way to Echo beach but it’s pretty much all the same stuff. 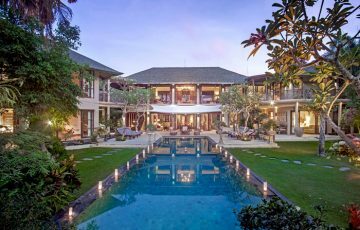 Having said that, as tie progresses Canggu will become more and more like Seminyak as the holiday makers choose Canggu as their preferred destination. Its just a matter of time. The typical Balinese development creep is happening very quickly.